John Wetton has played in many bands throughout his long career. He has played in UK, King Crimson but is best known for being the lead vocalist and bassist of supergroup Asia that took over the world in 1982. He has recently released two solo albums. The first one is Anthology, a career retrospective that takes us through his solo career. All six of his solo albums are represented in fine fashion here. Thirty-two tracks in all help make up this Anthology. 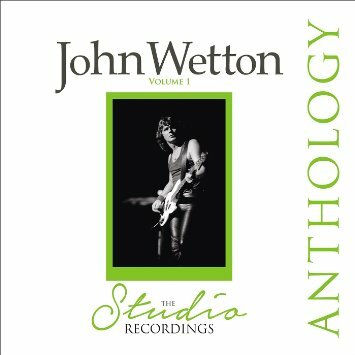 For those who may not be familiar with Wetton’s solo catalog I would recommend starting at the classic Battle Lines. It was produced by the legendary Ron Nevison who also has worked with Led Zeppelin, The Who, Ozzy Osbourne, Heart and Damn Yankees among others. Battle Lines features a talented roster of musicians including Steve Lukather (Toto and Ringo Starr’s All-Starr Band) and drummer Michael Cartellone (Damn Yankees, Lynyrd Skynyrd), among many others. One album that is very underrated in the Wetton catalog is 2003s Rock Of Faith. It is no surprise that “I’ve Come To Take You Home” and “I Lay Down” standout, perhaps because Wetton’s old partner Geoffrey Downes co-wrote them. They say that writing session was the catalyst for the Asia reunion in 2006. Recommended songs include “Hold Me Now”, “Another Twist Of The Knife”, “Battle Lines”, “Heart Of Darkness”, “Silently” and “Right Where I Wanted To Be”. 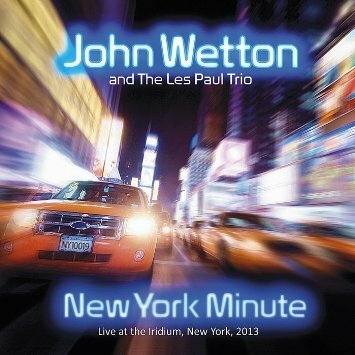 For the second release Wetton teamed up with the Les Paul Trio for a live recording that dates back to an October 2013 show at The Irdium, the venue where Les Paul played every Monday up to his death in 2009. The Les Paul Trio includes Nikki Parrott on bass, Rodney Holmes on piano and Lou Pallo on guitar. New York Minute is the title of the album which focuses on songs that influenced Wetton as a singer and songwriter. Included are covers of “God Only Knows” (Beach Boys), “Lady Madonna” (The Beatlles) and “Do It Again” (Steely Dan). For good measure he throws in Asia’s “Heat Of The Moment” and a rendition of a solo song “Battle Lines”. Both of these releases should satisfy true rock fans. From the fans who are familiar with all phases of Wetton’s career as well as those that only recognize Wetton from his work in Asia, these two releases are a perfect way to get acquainted with one of rock’s finest vocalists and bassists.